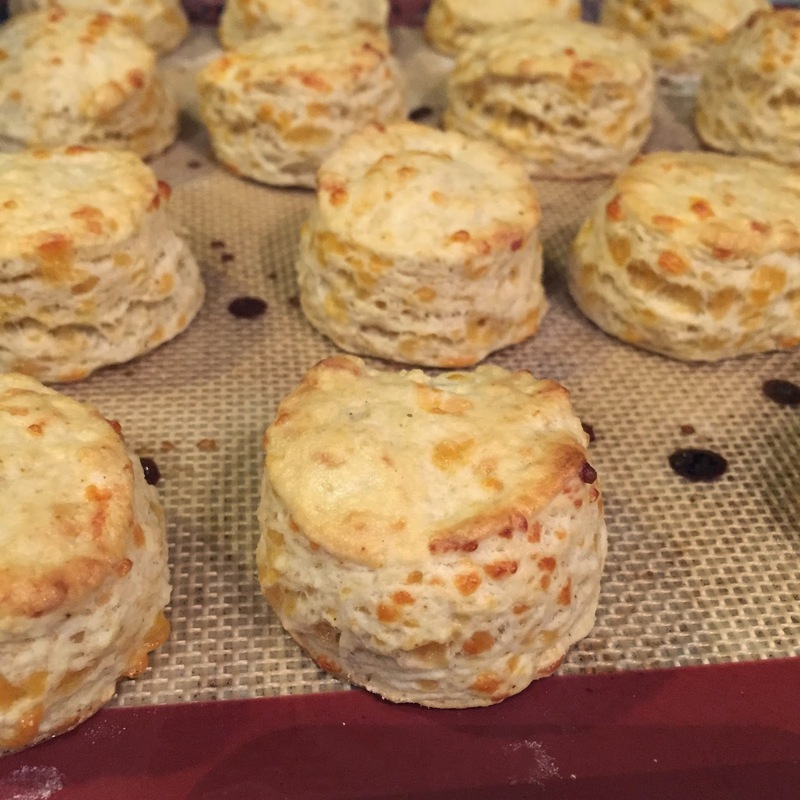 For as often as I bake, it's kind of surprising how rarely I make biscuits. But they are so easy and so delicious! It's highly likely that I'll have all the ingredients in my pantry ready to go, so I don't even have to make a stop at the grocery store. I should do this more often. 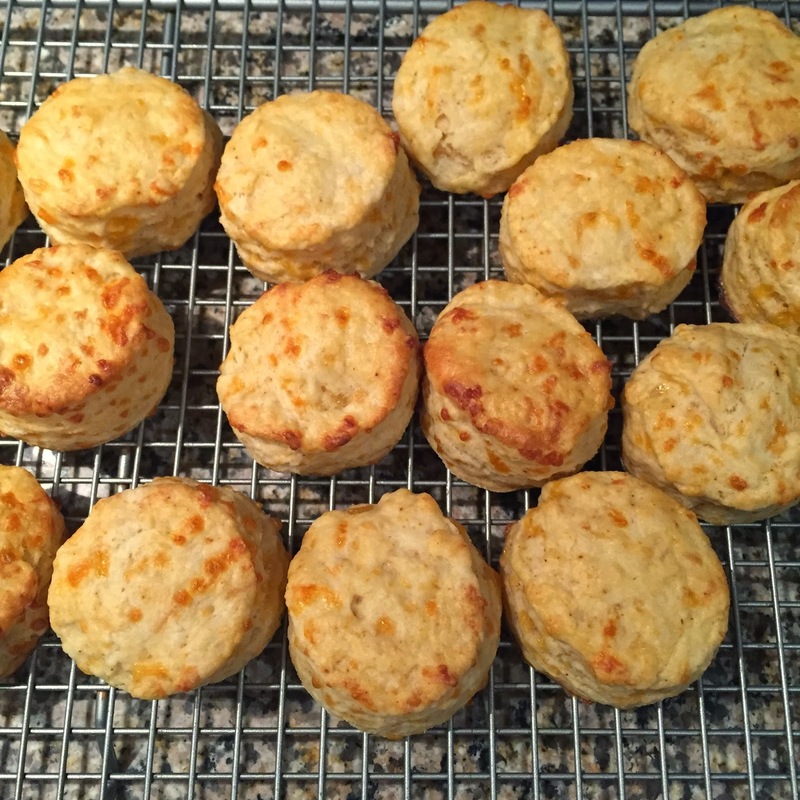 These are really yummy, almost like savory scones. If you want, experiment with different kinds of shredded cheese. I bet pepper jack or smoked gouda would be delicious, too! Just try not to eat the entire batch in one sitting. 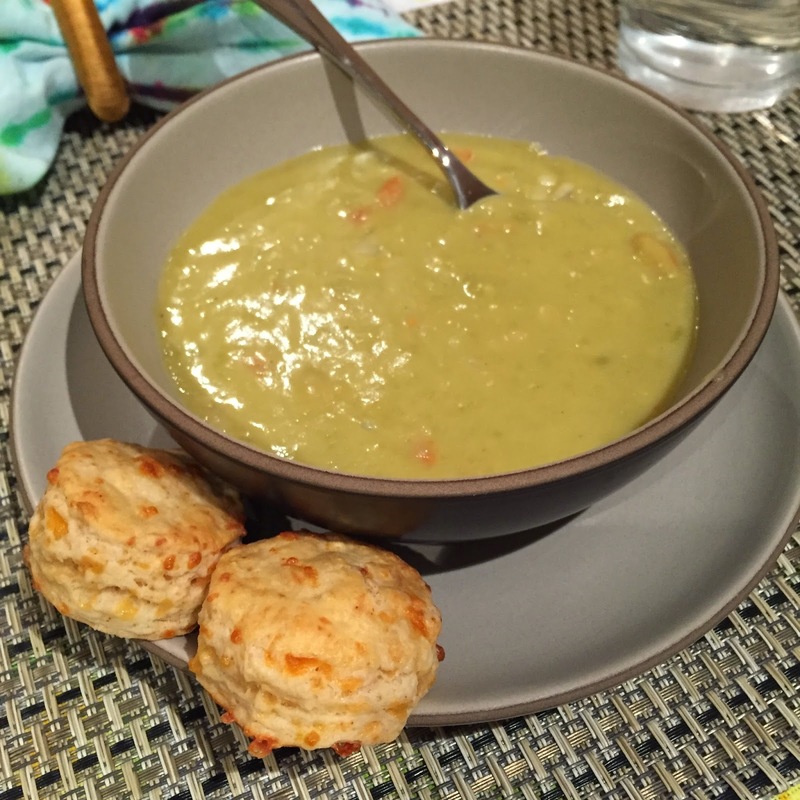 The biscuits would go great with a Mexican casserole or, for a lighter meal, a bowl of soup or salad of mixed greens. So as things go around here, when I make a cheese-filled baked good, it pairs well with a cheesy limerick and I have no self-restraint. Sorry, I'm not sorry. It justified this cheesy love letter. In a measuring glass or small bowl, beat 1/2 cup of the milk with the egg. Set aside. In a large bowl, sift together the flour, baking powder, salt, and cayenne/paprika. Use a pastry blender or fork to cut the butter into the dry ingredients until the mixture resembles coarse crumbs the size of peas. You can break apart any stubborn large pieces with your fingers. Add the grated cheese and most of the egg/milk mixture, reserving just 1 tablespoon of the egg/milk mixture to brush on top of the biscuits. Blend with a fork and then use your fingers to finish. Only mix until combined and not a moment longer. 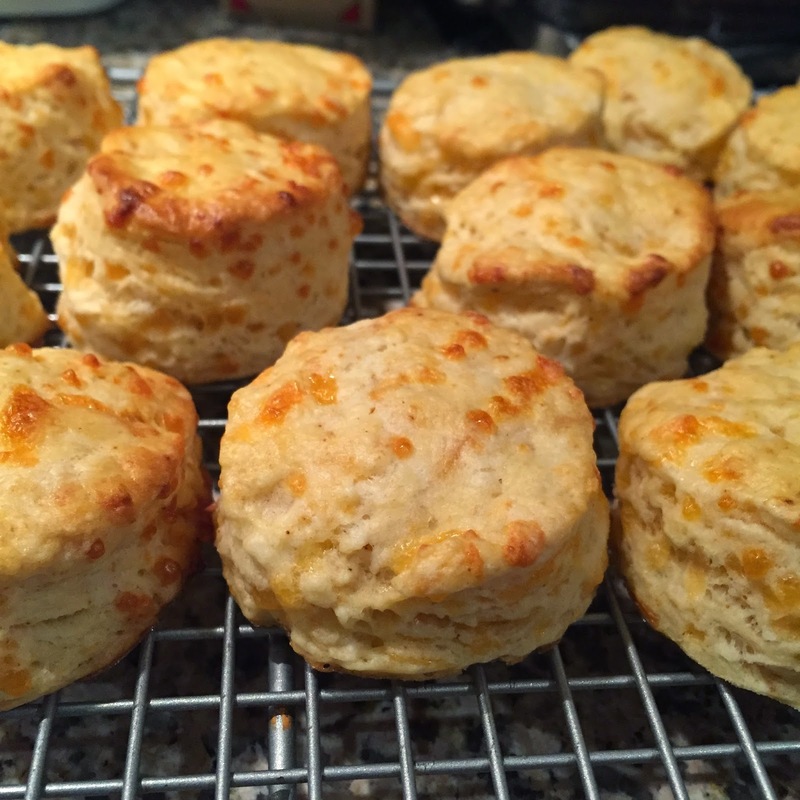 Overmixing results in dense, tough, hard-as-a-brick biscuits! If necessary, add the remaining milk a teaspoon at a time until the dough comes together. On a floured work surface, roll the dough out to about 1 inch thick. You can also just pat it down if you don't have a rolling pin. 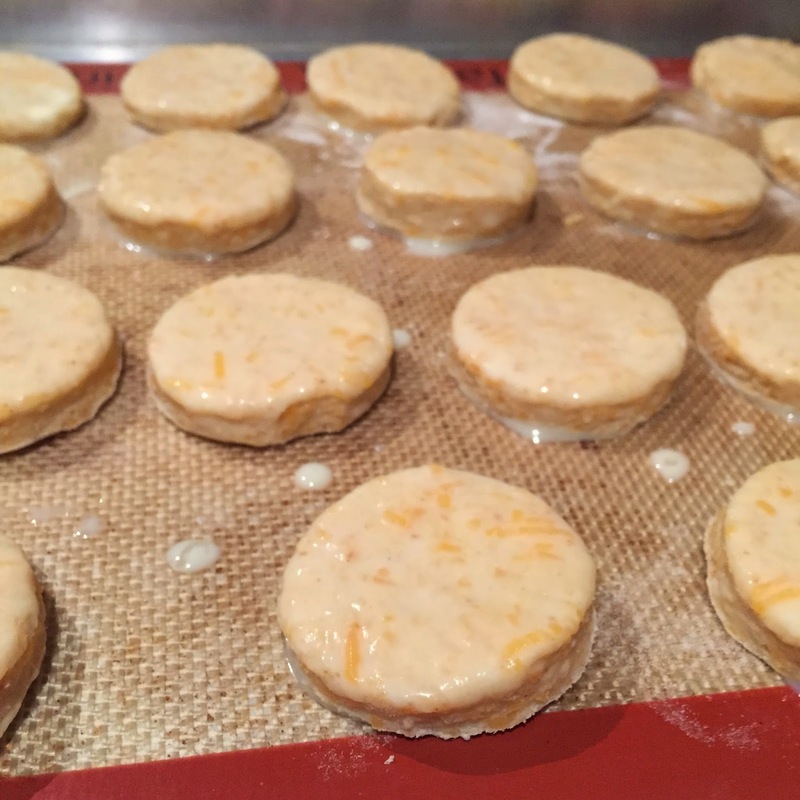 Use a small biscuit cutter to cut out circles and place them on an ungreased baking sheet (or you can use parchment paper or a silicone baking mat). Push the scraps of dough back together, re-roll the dough, and cut out more circles until you've used up all of the dough. Brush the tops of the biscuits with the reserved tablespoon of egg/milk mixture. Bake for about 10 minutes, until light brown and puffed up. Serve warm or at room temperature. If you are eating these as leftovers the next day, they taste amazing reheated in the toaster oven!